One thing leads to another, as they say. On Musicinfo’s previous excursion to Frankfurt’s Musikmesse in April I met with Chris Cooke, co-Founder and Business Editor of Complete Music Update (CMU), a UK-based service provider to the music industry. 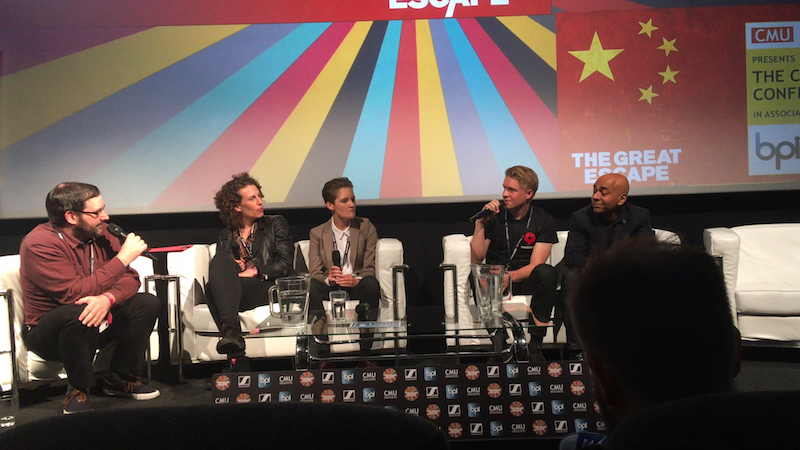 Chris told me that in May CMU in association with the British Phonographic Industry (BPI) would present a whole conference day dedicated to the Chinese music market at The Great Escape Festival in Brighton UK. Chris then asked if Musicinfo would like to be present at the conference and join one of its panels. We naturally jumped at the chance, as this conference couldn’t have been more up our alley. Our delegates for the trip was Musicinfo’s Account Manager Santeri Hämäläinen and myself. We spent the day before the conference in London, meeting with a prospective new employee for the UK market, and with our brand ambassador DJ Drez. It was a pleasant day in London, windy but sunny. We simultaneously noted with Santeri that the London skyline prompted us to start hearing Sherlock’s (the TV series with Benedict Cumberbatch and Martin Freeman) main theme in our heads while navigating our way through the huge, atmospheric metropolis. The conference day in Brighton was quite busy and the venue itself was pleasant. Starting at 10am, the first two sessions focused on recorded music in China and on music copyright issues. One of the key points was that China’s music market has tripled since 2017 and the growth in 2018 is forecasted to be over 30%. Quite an amazing growth rate! At noon it was our turn: Santeri joined the panel consisting of Anne Jenniskens (FUGA), Nina Condron (Horus), and Mathew Daniel from Chinese streaming service NetEase Cloud. This session focused on the streaming services of China, and how to get Western music to these channels. After the panel we met with some talented musicians who were interested in distributing their music to China through Musicinfo. Santeri also did a podcast with CMU after the panel sessions discussing Musicinfo’s role in exporting Western music to China. After the lunch break the conference proceeded at 1:45pm with the panel discussion focused on how to reach an audience in China. The final two sessions, starting at 2:30pm and 3.20pm respectively, dealt with the artists’ perspective and on the Chinese live music scene. The conference ended at 4pm and in the evening we sipped complimentary drinks kindly provided for conference delegates by The Great Escape. 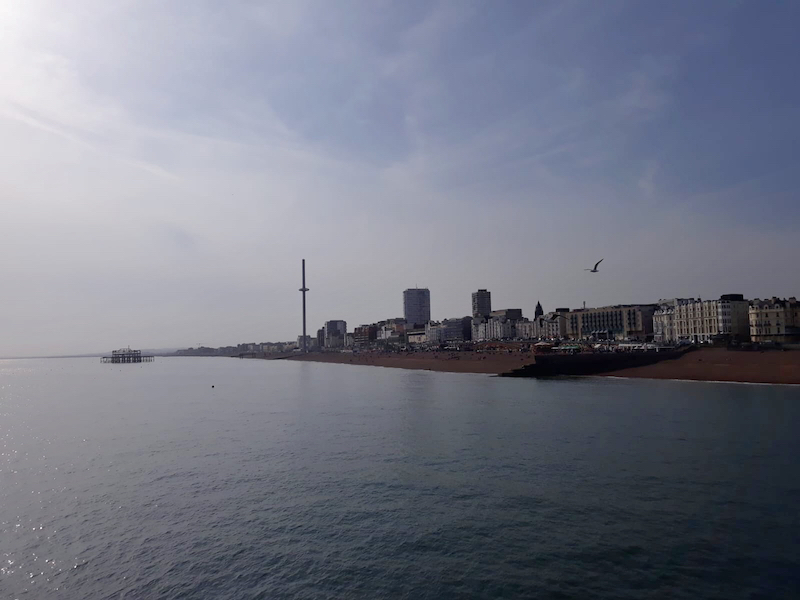 We enjoyed the festival and laid-back atmosphere of the Brighton seaside. In all the take-home message at the China conference was, that after 10 years of scouting the prospects and opportunities of the Chinese music market, its enormous potential is finally opening up in a tangible way: it’s time for the industry and musicians to tap into this huge market and keep up with the times. So why not be part of this exciting new trend and share your music to a whole new audience in China through Musicinfo? In the words of our favourite detective Sherlock Holmes, the game is on.